If you’re like me, there’s a chance you have more kitchen gadgets than you could possibly need. The problem? I don’t have a big kitchen. Which means that if I’m going to keep a gadget around long term it really needs to be worth the space. Lately I’ve been binging a certain cleaning show on a certain streaming service and it’s got me to thinking about the organization of my spaces. I went through my gadgets and decided to clean out what I really didn’t use. But here’s the deal-I really do love my waffle maker. So I’ve decided that I need to find more uses for it than just waffles in order to justify the space I give it. With that, here are some dishes you should be making in your waffle maker right now! First up, if you don’t have a waffle maker, I suggest picking one up. You can get a really good one here. Why bother with a waffle maker? It has the ability to cook things quickly while giving a good crispness to the outside and a softness to the inside. Which is pretty much goals for cooking right? 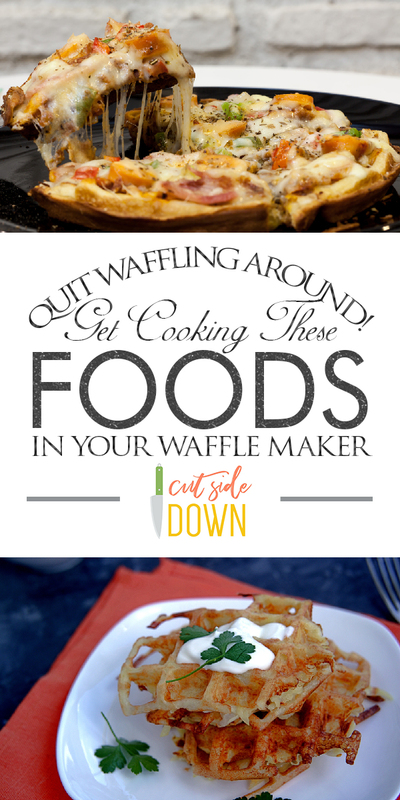 Here are some dishes to up your waffle maker game! 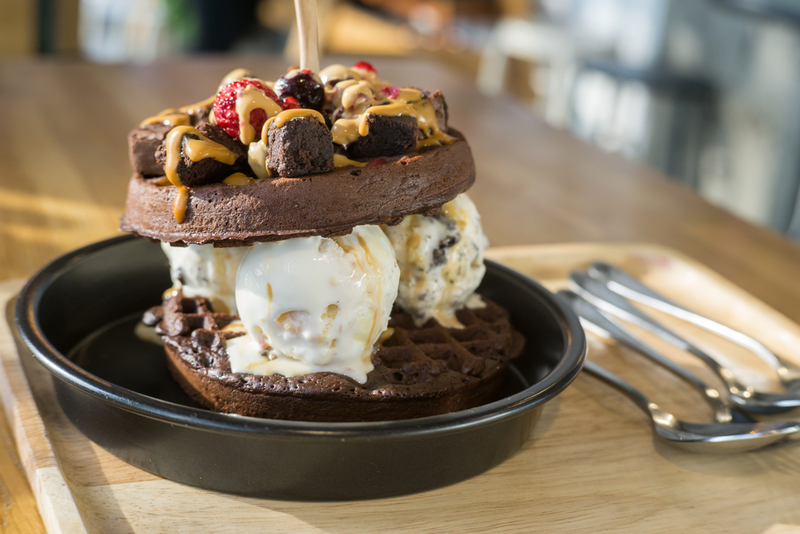 Waffle Brownie Sandwiches: because a brownie in 3 minutes is exactly what the world needs! Process: In a medium bowl, whisk your eggs, water, oil, and brownie mix until just combined. Pour about 1/2-3/4 c. of the mix into your waffle maker and cook until the waffle maker beeps. Remove and allow to cool for a minute before topping with ice cream and desired toppings, then enjoy! 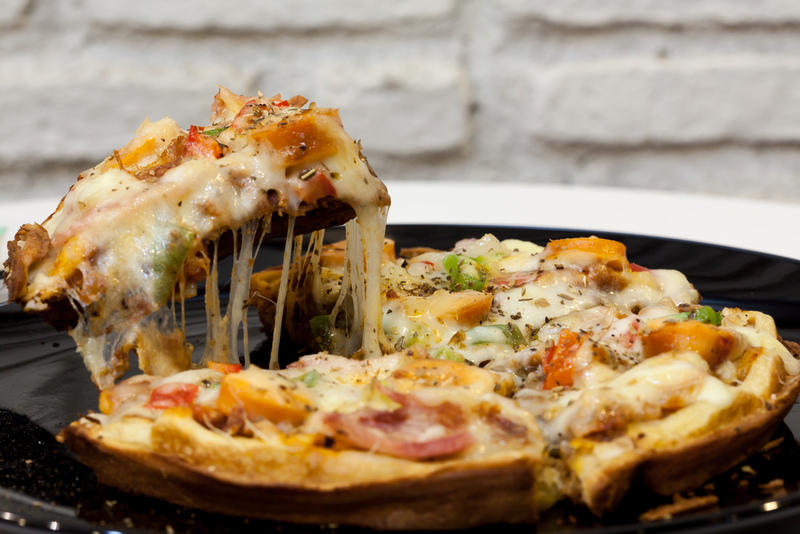 Pizza Waffles: who said waffle irons were only for breakfast? Process: Get your waffle iron up to temp. While it’s heating up, roll your dough out on a lightly floured work surface. Cut or roll into a 6-inch round, or however large your waffle iron is. Brush one side lightly with olive oil before placing the dough, oil side down, in the waffle maker. Next brush the top side of the dough with oil as well. Gently close the lid and cook until golden and done-which should take about 4-6 minutes. While the dough is cooking, warm up your pizza sauce. Once you have your dough finished, top with sauce, cheese, and desired toppings before placing on a cookie sheet and tossing in the oven to broil until the cheese is nice and bubbly. Enjoy! Waffle Hash Browns: because they are crispy and soft! Process: Wash and peel your potatoes before using a box grater (like this one) to grate your potatoes. Once you’ve grated them all, go ahead and squeeze out the excess moisture (this is super important) but make sure to keep about 2 tsp. of the potato liquid. Combine the left over potato juice with the butter, chives, about 1 tsp. salt, and pepper. Toss the potatoes in the mixture until well combined. When your waffle iron is hot, brush with melted butter before putting about 1/2 c. of the potato mixture into the waffle iron. Go ahead and close that puppy and cook until golden brown, which should take about 4-8 minutes. 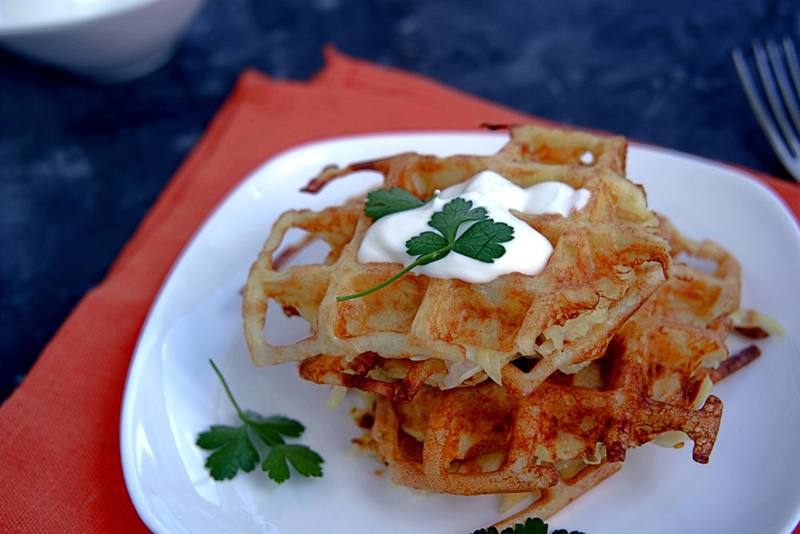 Put the finished hash brown waffles into an oven safe dish and keep warm in the oven until you’re ready to serve! 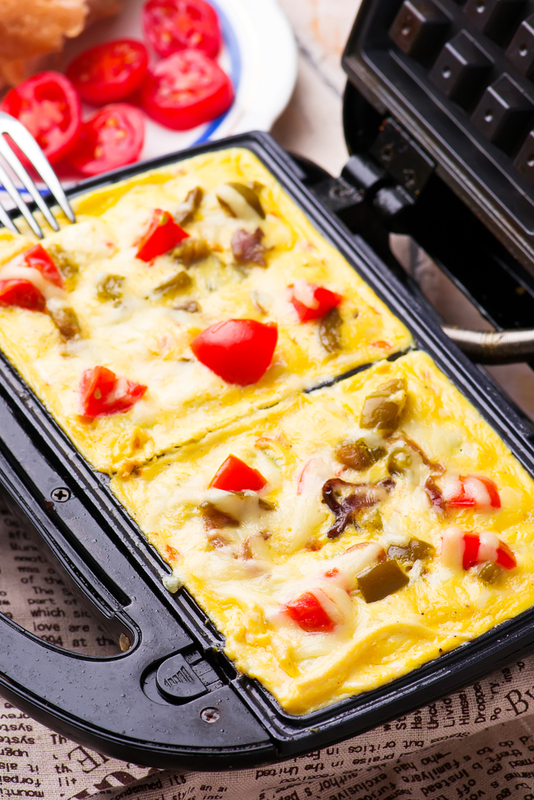 Waffle Omelets Oh-la-la: a great way to make a great omelet! Process: In a bowl beat your eggs together and add in your toppings. The sky really is the limit here-go for what you like! Spray your waffle iron with cooking spray before adding in your egg mixture. Cook until lightly gold and fluffy, which should take like 4-5 minutes. Serve and enjoy! 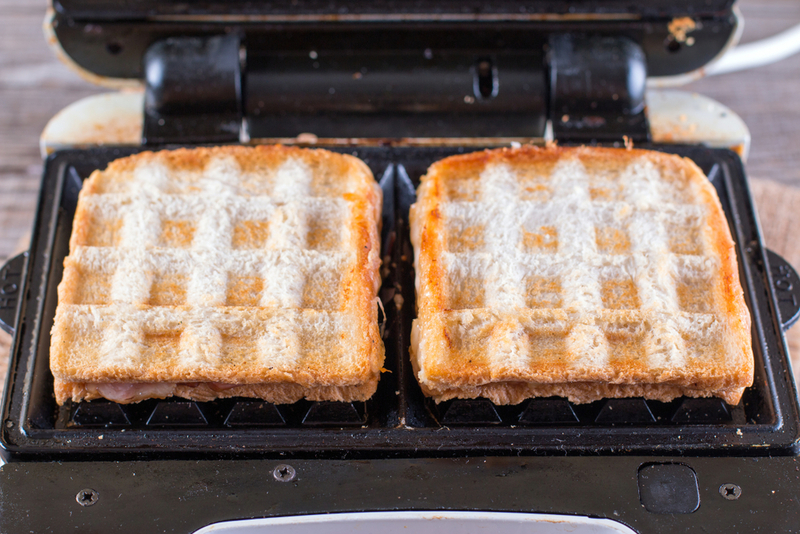 Waffle Iron Grilled Cheese: because who has time to wait for a pan? Process: Get your waffle iron to temp. While it’s heating up, slice your cheese into thin slices. When it’s ready, brush one side of your bread with butter and place it butter side down on the waffle iron. Top with slices of cheese, then another slice of bread. Before you close the iron, brush butter on the top of the bread (the side that will touch the iron). Go ahead and close the waffle iron gently. Allow to cook for 3-5 minutes until golden brown and the cheese is melty. Serve and enjoy! And there you have it! Some seriously awesome reasons to keep your waffle iron close and ready to use. Happy cooking!